Human family with mother, father and children. 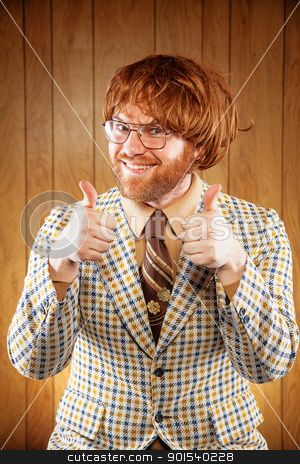 Excited 60s Game Show Host Giving 2 Thumbs Up audience. Wearing a patterned sports coat and a very ugly retro brown tie. The game show host is wearing a red toupee and a pair of thin rimmed glasses.